Sharing my adventures in living a more natural lifestyle, information about essential oils and natural home, health, and beauty recipes! Welcome back to Part 3 of my Health & Fitness blog series: Oily Tips & Tricks to Help You Reach Your Goals! I’ve enjoyed sharing my journey with you and have really appreciated all the supportive feedback I have gotten from family and friends. It’s such a wonderful feeling to know that my journey has helped inspire so many others and I can only hope to continue to motivate and inspire as I move into 2017 with bigger and better fitness goals in mind. But today I want to share with you a little bit about how my oily obsession has helped me meet my goals this year! So read on! Perfect to throw in your gym bag or for the student athlete, the Active & Fit Kit was created by Young Living ambassadors and athletes to help you rev up your workout by combining the power of Cool Azul Sports Gel, plus Deep Relief, Peppermint Vitality, Copaiba, R.C., and Thieves essential oil blends. This kit is designed with convenience in mind with a carabiner for easy attachment to any gym bag, an exterior pocket that perfectly fits a Slique Bar, and an interior pocket sized just right for a tube of NingXia NITRO. As an added bonus, this kit will include three roller fitments to complement each topical essential oil. The Active & Fit Kit supports every fitness regimen, from elite competition to daily workouts. This was on my wishlist for several months after it was released in 2016 and I’m super excited to have it as part of my on-the-go gym bag! I use this kit several times a week. I’ve added and changed a few things so below I’ll tell you how and why I use each of the oils in my Active & Fit Kit! Copaiba (with roller fitment) – Copaiba is one of those oils that I tend to forget about because its less commonly used or talked about but it has so many awesome uses! Copaiba is distilled from resin harvested from the tree that grows native in South America. In addition to all it’s amazing oral and digestive health benefits, Copaiba also helps support the body’s natural response to injury and irritation. It is a key ingredient in Young Living’s best-selling roll-on blends Breathe Again and Deep Relief. I mentioned in Part 2 of my blog series about my knees showing signs of wear and tear from my increased physical activity this year, hence why I take a Glucosamin Chondroitin supplement each morning. But for added benefit, I like to roll on a little Copaiba essential oil on and around my knee joints to help give them a little support before I start my exercise routine. I find this especially beneficial before I go for a run! R.C. (with roller fitment) – R.C. is a powerhouse blend of 10 essential oils, including Cypress, Spruce, Myrtle, Marjoram, Pine, Lavender, Peppermint and three species of Eucalyptus designed to support healthy respiratory function. I like to apply R.C. to my chest before physical activity, especially running, to help open the airways and ensure that my respiratory system operating at its best during exercise! I’ve noticed a big difference when running with R.C. vs the days I forget to apply it. Especially during transitional months when the sniffles are so common! Thieves – Thieves is probably Young Living’s best known blend, so named after the Legend of the 4 Thieves who used to rob from plague victims during the 5th century but never got sick. Thieves is a blend of Clove, Lemon, Cinnamon, Eucalyptus Radiata, and Rosemary essential oils. I apply Thieves to the bottoms of my feet before I exercise or go run. Not only does this help support my immune system it also keeps my sweaty feet from stinking up my gym shoes! lol I chose not to put my roller fitment attachment on my Thieves because I tend to diffuse this a lot at work to keep the germs away when I have clients in and out of my office all day. I have to refill my Thieves for the diffuser so often that I have had to resort to pulling it out of my Active & Fit kit at times so it’s easier to keep it off so I can use it both ways. Peppermint Vitality – Did you know there is actually a ton of research suggesting that Peppermint essential oil can enhance athletic performance by supporting your respiratory and circulatory systems so you can go faster and farther? Just cracking open and smelling that bottle of peppermint oil can reduce perceived effort, improve your mood and boost your brainpower!!! A recent study by the Journal of the International Society of Sports Nutrition found that adding Peppermint essential oil to athlete’s drinks improved their performance, blood pressure, heart rate and respiratory functioning. In addition, the test subjects were able to increase their performance by 51% as well as increased their time until exhaustion by 25%!!! Young Living’s Active & Fit Kit comes with a bottle of Peppermint Vitality for just this reason! Same high quality, therapeutic grade essential oils but labeled as a dietary supplement! I love adding a drop or two of Peppermint Vitality to my water before exercise to give me a little extra pep in my step! Deep Relief – The ONLY way you can get a 5 ml bottle of Deep Relief is with the Active & Fit Kit. It’s the same amazing blend of Peppermint, Lemon, Balsam Canada, Clove, Copaiba, Wintergreen, Helichrysum, Vetiver and Dorado Azul in a coconut oil carrier that you get in the 10 ml Deep Relief roll-on but in a dropper bottle. I actually find it easier to use the roll-on for my purposes, which is for targeted relief on sore muscles or aching joints after workouts so I replaced my 5 ml bottle with the 10 ml roll-on for daily use. However, I’m hoarding my 5 ml bottle for other purposes like making my own DIY Bath Salts or Massage Lotion! Cool Azul Sports Gel – Cool Azul Sports Gel is an aloe based gel with a cooling blend of Peppermint, Wintergreen, Sage, Copaiba, Oregano, Niaouli, Lavender, Blue Cypress, Elemi, Willow, Caraway, Dorado Azul and Vetiver essential oils with Menthol and Camphor as well as Arnica and Chamomile flower extracts making it the perfect choice to use before or after physical activity. Rub and massage generously onto skin targeting sore or overworked muscles. I’ve actually pulled muscles in my back a couple times over the last several months (picking up my toddler and washing the dogs, not exercising, believe it or not) and I applied Cool Azul to my lower back before bed! By morning it always feels so much better! But make sure to wash hands after use, especially my gentleman readers, if you catch my drift! Another of my favorite oils that I’ve actually added to my Active & Fit Kit so I have it on-the-go with me at all times is the Fitness, Inspired by Oola blend. Young Living teamed up with the Oola Guys, creators of Oola to develop 7 essential oil blends inspired by the 7 F’s of Oola (fitness, finance, family, field, faith, friends, and fun). I could do a whole class on Oola and essential oils but today I want to share with you the Fitness essential oil blend. Fitness, Inspired by Oola is a blend of Cypress, Copaiba, Basil, Cistus, Marjoram, Peppermint, Clary Sage, Idaho Blue Spruce, Balsam Canada, Nutmeg and Black Pepper in a Coconut oil carrier designed to help uplift, energize and give you the inspiration to take your workout to the next level! I like to apply a couple drops to my Solar Plexus and repeat the Oola Fitness Affirmation “I am fit, healthy, disciplined and strong” before my workout. It’s also lovely to diffuse in your home gym or living room while you work up a sweat! This little gem has been a life saver!!! It’s a recipe I’ll be sharing during my 2017 New Year New You: Essential Oils for New Years Fitness Resolutions class but I’ll give you a little sneak peak! Shin Splints, often thought of as a runner’s injury plague more than just the marathon racer. Nearly every athlete will get shin splints at some point in their career and also quite common among dancers. But even just running to catch the bus or increasing your activity level as you try to get in shape can lead to shin splints. But what are they? Shin Splints can actually be caused by several things from flat feet to inflammation and irritation in the mucles surrounding the shin bones from being overworked to stress fractures in the tibia or fibula! I added this roller bottle to my Active & Fit Kit and use it after running or plyometric (think jump training) workouts when my shins and calves tend to ache the most! Roll directly onto affected area for relief from shin splints or other discomfort from overactive workouts. Sore muscles? There’s an oil (well several actually!) for that! The Active & Fit Kit comes with both Cool Azul Sports Gel as well as Deep Relief (see above) both of which are awesome at targeted relief. But one of my all time favorite ways to soothe my muscles after a strenuous workout is to take a relaxing bath! PanAway is one of my favorite oils to add to my post-workout bath. It is a cooling blend of Peppermint, Wintergreen, Clove, and Helichrysum designed to provide relief from normal aches and pains. You can also add to Young Living’s Ortho Sport or Ortho Ease massage oils to soothe sore muscles after a workout! 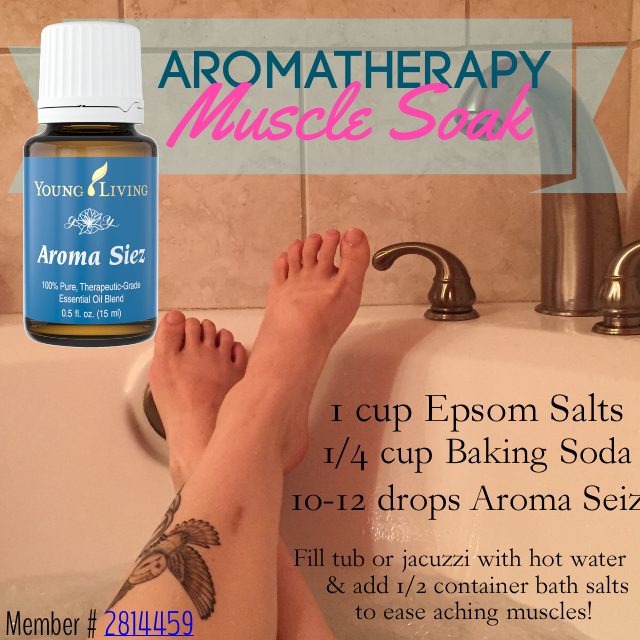 Here is one of my favorite, simple DIY post-workout bath salts recipes! Mix ingredients and store in 8 oz glass jar. Throw handful in tub before sinking in and relaxing! Trust me, your muscles will thank you! Make sure to check out my 2017 New Year New You online essential oils for fitness class for a DIY Massage Lotion recipe and even more ideas for post-workout relief! So there you have it. The 3rd and final installment of my 2016 Health & Fitness blog series: Oily Tips & Tricks to Help You Reach Your Goals! Be on the look out for an invite to my 2017: New Year New You online class about using essential oils to help meet your health and fitness goals! In the class I will be covering a holistic approach to meeting weight management and fitness goals using Young Living essential oils and supplements. This post was just a precursor to all the information I will be sharing in that class! So if you have health and fitness resolutions for the New Year you don’t want to miss it!!! If you’re not my friend on Facebook, or aren’t one of my usual suspects, and want an invite, comment below with your email and/or Facebook name or PM me on Facebook and I’ll be sure to add you to the guest list! I hope you have enjoyed reading about my journey! In case you missed it, make sure to check out the other installments of my 2016 Health & Fitness blog series Part 1: Intro to my Diet and Exercise Routine and Part 2: My Supplement and Protein Shake Reviews. Disclaimer: I am not a health professional, certified trainer or nutritionist. I am merely an average girl just like you who got sick and tired of being sick and tired. I have been asked about what I’ve been doing to have the results I have been blessed with so wanted to share the love! Please consult with your medical professional to ensure that you are healthy enough for increased activity levels and/or a nutritionist to ensure that any dietary needs you may have are being met by whatever nutritional program you choose. Categories: Essential Oils and Aromatherapy, Health & Fitness, Young Living | Tags: active & fit kit, cool azul, copaiba, deep relief, essential oils, fitness, fitness inspired by oola, health, PanAway, peppermint vitality, RC, running, shin splints, thieves | Permalink. Whiter Teeth in 30 Days without Toxic Chemicals or Expensive Products? I’m all in, are you? Everyone wants a brighter smile. With the popularity of coffee, soft drinks, tobacco products, and even some prescription medication our teeth have become more discolored over the years. According to the American Dental Association (ADA), tooth whitening is the most requested procedure from dental patients 40-60 years old. Professional tooth whitening procedures are the most effective by far but are expensive, an average of $650 per treatment, and still have unpredictable results due to age, heredity, and type of staining as well as risks of gum and tooth sensitivity during and after the procedure. This has lead to a booming market for over-the-counter tooth whitening products in the last several years, ranging from $100-400 for professional quality whitening strips or trays, to the ever-popular Crest Whitening Strips with an average cost of $20 per application, to whitening toothpastes and mouthwashes. Prevention magazine notes that tooth whitening pastes and mouth rinses are more popular than any other comparable products. At home whiteners usually contain a 10-20% peroxide solution as the whitening agent, most often carbamide peroxide (perhydrol urea), which is listed as a 3 on Environmental Working Group’s SkinDeep Database for concerns related to possible irritation and toxicity and has been restricted for use in cosmetics in Canada. Data on the safety of this ingredient is limited on EWG but there are 920+ citations on PubMed that may include information on the toxicity of this product. Since the rise in popularity of tooth whitening products there has been an increase in reports of gum and tooth sensitivity. In 2002, the University of Southern California School of Dentistry conducted a survey that revealed that over half of their respondents experienced mild to moderate sensitivity after using an over-the-counter whitening gel (containing 15% carbamide peroxide). 1 out of 25 respondents reported significant pain (cited in Prevention magazine). According to Dr. Gennaro Cataldo, a professor at Boston University’s Henry M. Goldman School of Dental Medicine, the government doesn’t regulate tooth whitening products the same way it regulates pharmaceuticals (cited in BU Today). In fact, the ADA has petitioned the FDA to classify and regulate tooth whitening chemicals due to concerns about the safety of over-the-counter products used without the supervision of dental professionals. The ADA has noted that “chemically based tooth whitening or bleaching agents can harm teeth, gums, and other tissues in the mouth” according to Dentistry IQ. According to a study cited on PubMed, whitening toothpaste can lead to a greater erosion of enamel than regular toothpaste (Turssi, et al 2004). And yet, we as consumers flock to the toothpaste aisle at grocery stores in a desperate attempt to whiten our teeth. Are we unknowingly damaging the enamel of our teeth and maybe even speeding up erosion or decay as a result for this vain quest? Perhaps. Orange essential oil – Orange essential oil is cold-pressed, meaning that whole oranges are pressed and squeezed between heavy plates which express the juice and essential oils from the rind and fruit. There are tons of references that report that citrus peels, especially oranges, can be used to naturally and effectively remove surface stains from teeth. So it stands to reason that using 100% pure, therapeutic grade orange essential oil would pass along some of the same benefit to help naturally whiten teeth without harsh chemicals. Plus, orange essential oil has tons of other health benefits (do yourself a favor and google “health benefits of orange essential oil” – you won’t regret it) so it’s must have in my house! Thieves AromaBright Toothpaste is Young Living’s newer toothpaste they formulated in response to feedback from their original Thieves Dentarome Toothpaste. So far it’s gotten rave reviews and many people report that they’ve noticed whiter teeth from using it alone. But why? Let’s explore the ingredients. Thieves AromaBright Toothpaste contains only naturally derived ingredients, including Water, Calcium carbonate, Coconut oil, Sodium bicarbonate (Baking Soda), Glycerin (Vegetable), Xylitol, Xanthum gum, Peppermint, Spearmint, Clove, Ocotea, Cinnamon Bark, Lemon, Eucalyptus Radiata, and Rosemary essential oils, Stevia leaf extract, and Lecithin (Sunflower). Calcium Carbonate is a natural calcium powder that helps remineralize your teeth as well as aid in the removal of surface stains. Coconut Oil as a tooth whitening agent has gotten a lot of attention lately due to the increasing popularity of oil pulling. But if you’re like me then the idea of swishing an oil (or anything) around in your mouth for 20 minutes is exhausting and makes my cheeks hurt to even think about! Check out this article on oil pulling from dentistry professionals on Dentistry IQ. Sodium Bicarbonate, more commonly known as Baking Soda, has long been accepted as a gentle abrasive to help whiten teeth by removing surface stains and was one of the first over-the-counter tooth whitening agents used in whitening toothpastes. Thieves essential oil blend (includes the Clove, Cinnamon Bark, Lemon, Eucalyptus Radiata, and Rosemary essential oils listed in the ingredients) not only helps support a healthy immune system but also supports healthy teeth and gums. In fact, Young Living has a whole line of Thieves infused oral health products, including mouthwash and dental floss, in a addition to both toothpaste formulas! So, the popular method for whitening teeth floating around Facebook lately is to add 1 drop of Orange essential oil to your AromaBright toothpaste morning and night to help freshen breath and remove surface stains from your teeth. I hear great things about the AromaBright Toothpaste and know lots of people who have reported that this method has worked for noticeably whiter teeth in less than 1 month! Maybe one day I’ll even convince the hubby to give it a try. But you guys know me, I’m a DIY girl! I’ve been making my own toothpaste for over 2 years now. It’s so easy and practically free since it’s made with ingredients that I always have on hand anyway. So naturally when I saw the above image I thought to myself, surely I can DIY this for similar results. Perhaps you’ve made my DIY Thieves Toothpaste recipe yourself, perhaps this is your first time reading my blog. Either way, you’re in luck! I’ve modified my original recipe slightly to take advantage of the amazing oral health benefits of Thieves essential oil blend plus the tooth whitening power of Orange essential oil! Mix all ingredients together in a small bowl, using a fork. Thieves essential oil blend has a strong cinnamon flavor so add about 10-15 drops of oil to start, and test the toothpaste to see how much you want/like. The stevia gives a sweet taste (which most toothpastes have). The baking soda taste isn’t over-powering, but it is there — and the toothpaste definitely works well! It doesn’t foam, however. Since coconut oil melts at 76 degrees, the toothpaste becomes liquid when you brush, and coats the teeth well. The oil is very runny, though, and doesn’t leave the mouth feeling greasy in the least. It will, however, stick to your bathroom sink if you use cold water to rinse. I definitely recommend using warm water with this toothpaste! Plus, Thieves oil is safe to use during pregnancy and since this recipe doesn’t contain peppermint you don’t have to worry about it impacting your milk supply like my original recipe! I haven’t tried adding calcium carbonate to my toothpaste recipe yet but I’ve read great reports of DIY remineralizing toothpaste recipes using calcium carbonate (check out this recipe by Wellness Mama). So that will be my next modification. You can also add activated charcoal to your toothpaste recipe as it is incredibly effective at whitening teeth. However, adding black powder to your homemade toothpaste is less than visually appealing and not something many people would eagerly put in their mouth. Still, I may try adding some to future modifications. If you are interested, here is a DIY homemade tooth powder recipe by MommyPotamus. Keep in mind that brushing with tooth powder is a much difference experience than using a commercial, or even a DIY, toothpaste. Have you made my recipe and noticed whiter teeth? Or do you have a DIY whitening toothpaste recipe you love? I’d love to hear about it! Comment below! I use only Young Living’s 100% pure, therapeutic grade essential oils, especially in any edible recipe or recipes that I take internally because I know I can trust that their oils are pure and unadulterated due to their Seed to Seal guarantee. Join Young Living to enjoy a 24% off discount plus a chance to earn amazing promotional gifts. Message me for more details or join today here! These statements have not been evaluated by the FDA. Products and techniques mentioned here are not intended to diagnose, treat, cure or prevent any disease. Information here is in no way intended to replace proper medical help. Consult with the health authorities of your choice for treatment. * The AromaBright toothpaste image was shared with me by several members in different Facebook groups with the assurance that it was okay to share this image. However, I have been unable to identify the original creator of the above image to provide proper citation. If this is your image, please let me know so I can give credit where credit is due! 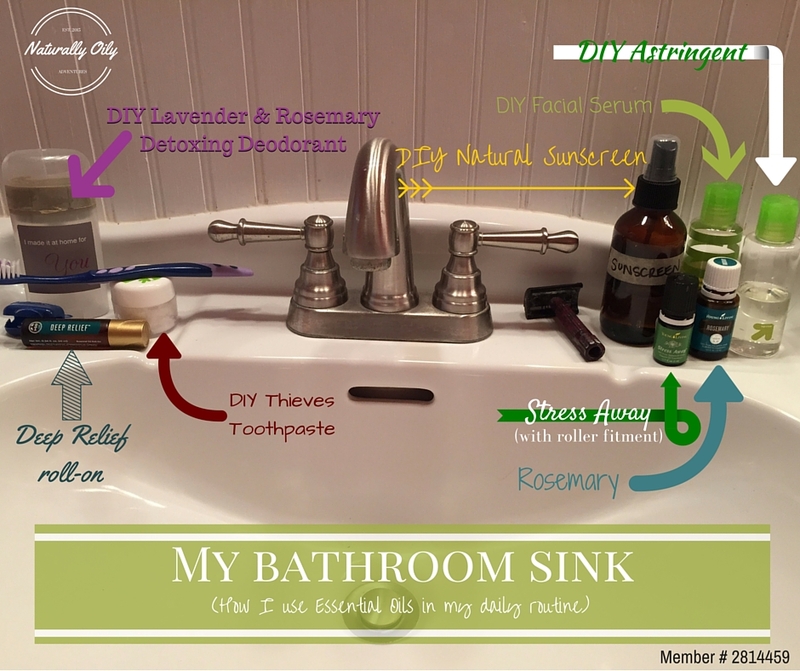 Categories: DIY Personal Care and Hygiene | Tags: AromaBright, DIY, orange, thieves, toothpaste, whitening toothpaste, whiter teeth, young living | Permalink. The holidays are fast approaching and everyone is out shopping for the perfect holiday gifts! But who wants the headache and hassle of fighting for a parking spot at the mall, sorting through hanger after hanger, or stopping at every kiosk to find a gift for those hard to shop for people on your list? Not me. I worked retail enough years that I refuse to go to the mall or other retail establishments during this time of year on principle alone. The past couple years I’ve moved more towards DIY holiday gifts. Not only are they often much more affordable alternatives to traditional gift ideas, nearly everyone loves that you put time and love into handcrafting items for homemade gifts! But where to even start? I’ve taken some of the guesswork out of it for you and scoured Pinterest looking for some of the best DIY essential oil holiday gift ideas and tried out most of them so you don’t have to experiment! I shared these recipes with my friends and they were a huge hit! Below you will find gift ideas for nearly everyone on your holiday list! I printed the tag then “laminated” with packing tape, punched a hole in the corner, then tied onto the jar with curling ribbon for a finishing touch. You could also package with nail clippers, pumice stone, or even cute Holiday socks! Cup open your tea bags and combine all three ingredients in food processor. Blend on high for about 1 minute until all ingredients are turned into a powder. Pour into your containers. Makes about 8 oz. To Use: Add 1 Tbsp to warm water to soak feet. Mix ingredients together well in bowl to desired consistency (more or less Epsom Salts) and spoon into 1 oz containers. Makes between 8-16 oz depending on how much salt you use. Alternative oils: You could also use 20 drops of Lemon essential oil to make a “Lemon Custard Body Butter” or 20 drops of Lavender essential oil for a Calming Nighttime Cream! Add Coconut Oil, Shea Butter, and Sweet Almond Oil to double boiler and heat until melted and stir. Pour into mixing bowl, put in fridge and let cool until you can see your fingerprint in it (this could take anywhere from a few hours to overnight). Add essential oils and use mixer to whip until it is light and fluffy like cake icing. Portion into containers. Makes about 8 oz. **Don’t have a double boiler? No problem! Check out this homemade double boiler alternative from TipNut! Mix ingredients in mixing bowl and store in 4 oz glass jars (makes 2). Lemon Scrub can be used on both the body and face. It’s ideal for rough spots like feet, knees, elbows and hands. It’s also great for nail beds and cuticles. As a body scrub: Apply to body, paying extra close attention to elbows, knees, feet and hands (nails and cuticles especially), and rub in circular motions for 3 to 5 minutes. Rinse. Enjoy the silky softness of your impossibly smooth skin. As a face scrub: The lemon and sugar scrub is also great for the face, but use with gentle circular motions. This scrub is ideal for people who suffer from breakouts and acne as all of the ingredients are highly beneficial to acne-prone skin. Lemon tightens pores and evens out the skin tone, sugar removes dead skin cells and cleans pores, olive oil heals acne scaring, and honey prevents future breakouts. To use, apply to clean face in gentle, circular motions. Be cautious of using on open wounds, as lemon has a tendency to sting. Leave on for 7-10 minutes and rinse with cool water. Mix ingredients together in mixing bowl and add to decorative 8 oz container or jar. Optional, include a small wooden spoon and small cotton muslin bag to finish off your presentation. Air-tight clear containers for storage – I found these cute “milk” bottles in a 6-pack at Michael’s for $9.99 and they always have 40-50% off coupons so these are really affordable! Divide the Epsom salt evenly between two large mixing bowls. In a small bowl, combine carrier oil and peppermint essential oil. Pour half the oil mixture into each of the two bowls of Epsom salt. Mix with clean hands. Add the red food coloring to one of the two bowls of Epsom salt and mix using clean hands until color is distributed throughout. Layer the bath salts in the clear containers alternating between red and white until the container is full. Seal container, label and give to a very lucky recipient. Note: The red food coloring will tint the bath water, but original recipe creator reports having had no issues with it staining her bath tub. If you’re worried, you can easily leave out the food coloring and still get the same muscle-relieving benefits. If using, sprinkle the dried lavender buds into the bottom of the silicone molds (they’ll show up just at the tops of your finished bath bombs). Add the citric acid and baking soda to the glass bowl. Use a whisk to combine the mixture. Add the essential oil and almond oil to the mixture. Drop in about 4 to 5 drops each of the red and blue food coloring (if using). Use the spoon to combine the mixture very well. Add a few spritzes of water to moisten the mixture. Don’t use too much at once. Use the spoon to mix the ingredients well. The mixture should be the consistency of slightly wet sand, and should clump in your hand if you squeeze it. Use a spoon to transfer the mixture to the silicone molds. Pack it in very tightly, all the way to the top. Lay a few paper towels on a flat surface, carefully turn the mold over, and pop out the bath bombs. Line a baking sheet with aluminum foil and transfer the paper towels and bath bombs to the baking sheet. Cover with a few more paper towels and allow to dry overnight. Celia’s Note: This recipe was a bit like a science experiment. I had two failed attempts and had to really tweak my third attempt to get the bath bombs pictured above. Citric acid fizzes when exposed to water so make sure to really use the spray bottle sparingly. Also, if its humid outside (and let’s face it, it’s ALWAYS humid in Alabama) it may affect your product as well. I found another recipe that recommends baking the bath bombs to help dry them out. Preheat oven to 170° and then turn OFF. Put bath bombs in oven to dry for 45 minutes. I still had to remove the bath bombs twice during this time to press them back down into their molds before they dried out. Read all about my Lavender Bath Bombs: Pinterest Fail! Mix and match the following recipes to create an on-the-go Diaper Bag Essentials gift bag for the new moms in your life! You could find a cute cosmetic bag just big enough to hold the items you choose so she can just throw the whole thing in the diaper bag and be ready for whatever comes her way! It’s a thoughtful gift idea she can use throughout the year! Also a great gift idea for the next Baby Shower you are invited to! Start with filling your squeeze bottle with aloe, about ⅔ full. Next, add the Vitamin E. Add 6 drops of Thieves Essential Oil and give it a shake. Lastly, add a little distilled water until it is to the consistency you like. Read my original blog post Is your hand sanitizer drying out your hands? Here’s an alcohol free DIY Thieves Hand Sanitizer recipe! Don’t want to DIY it but love the idea? Check out Young Living’s Thieves Waterless Hand Purifier! In a double boiler, place the shea butter, beeswax, and coconut oil in the top pan and bring to a boil. Leave in the pan long enough to melt all the shea butter and beeswax (5 minutes or less). Remove from the heat and add essential oils. Mix well and place in the refrigerator for a few hours – one to two. The cooling step is a very important part of the emulsifying process and cannot be skipped! Once cooled (it will be harder), scoop into your mixer. A hand mixer should work just fine, too. Then, add the 3 tbsp. of zinc oxide (or arrowroot or cornstarch) and the 2 tbsp. of optional vegetable glycerin and beat for 5 to 10 minutes. The beating lets oxygen circulate through the cream to fluff it up and thicken it. It will look creamy and oily when you’re done, but after several hours it will thicken up A LOT. It’s just as thick as store bought ointment and way less toxic! Celia’s note: I’m sad to say I’ve had several opportunities to use this recipe since I originally made it and it is WONDERFUL!!! I added Tea Tree oil to mine and it has done wonders to help alleviate discomfort and knock out diaper rashes on my little one in a day, maybe two if its really bad. I now keep a jelly jar on the changing table and a small recycled Gerber baby food jar in my diaper bag (the image above the “Diaper Bag Essentials” heading is actually my diaper bag stash). I’m about to transfer a jar into a plastic container to send to daycare because it works better than the store bought stuff! I will never run out of this stuff!!! Using the small funnel (optional – but I find it much easier) add essential oils to 10 ml roll-on bottle. Use pipette (optional) to fill the roll-on the rest of the way with carrier oil of your choice). Shake well before use. Apply directly to the affected area. Using the small funnel (optional – but I find it much easier) add 1 capful of Thieves cleaner to roll-on bottle. Use pipette (optional) to slowly fill the roll-on the rest of the way with distilled water. To use: Rinse stain with cool water. Gently shake roll-on and apply directly to stain. Wash normally when you get home. Source: I wish I knew… I found that picture above being shared over and over in Facebook groups I’m a member of and for the life of me I cannot find the original source. If it is your image and/or recipe, please let me know so I can give credit where credit is due. Thieves Household Cleaner is not currently a part of the standard Premium Starter Kit as most of the suggested oils in these recipes are but you can add it to your order at signup if you are interested. I promise, you won’t regret it! A little goes a long way and I use it to clean everything!!! Kitchen counters, bathtub, shower curtains, high chairs… I even add it to my laundry! Or you can get started with the Thieves Premium Starter Kit that includes TWO of each of the following: 14.4 oz Thieves Household Cleaners, Foaming Hand Soaps, Thieves Sprays, and Thieves Waterless Hand Purifiers, plus a 15 ml bottle of Thieves essential oil blend, AromaBright Toothpaste, and Fresh Essence Mouthwash with a BONUS Stress Away essential oil blend and roller fitment for easy application. That’s enough to share with your friends and family for more Holiday gift ideas!!! Mason jar or other cute packaging container – here are mine all wrapped up! Add Baking Soda to mixing bowl. Slowly add water until you’ve made a thick paste. Just a little water goes a long way. You want it to be the consistency of putty. Add essential oil blend. Spoon the mixture into lined muffin tin and let sit for 12-18 hours until hardened. (You could also bake them to speed up this process, approximately 20 minutes at 350° – but if you do this add the essential oils after the discs come out of the oven to avoid damaging the therapeutic properties of the oils). To Use: Place one shower disc anywhere in the bottom of your tub and let the steam from your hot shower release the essential oils to create an invigorating shower experience. Especially enjoyable during the changing of the seasons or anytime you might suffer from a stuffy nose or congestion to help open up the sinuses and breathe easier! This is practically the same recipe but with different oils as my Diaper Pail Deodorant Discs. Super easy recipe to follow and so worth it (plus another gift idea for the new mom)! Check em out! Add coconut oil and beeswax to double boiler. Bring water to a boil and stir until all beeswax is melted. Add cayenne and ginger (or turmeric) powders and stir to distribute evenly throughout the mixture. Remove from heat and let cool for a few minutes but not long enough to harden. Add essential oils and mix well. Pour into decorate glass or metal storage containers. Note: This will have an “icy hot” sort of feel to it. Since peppermint oil is a “hot” oil and the recipe calls for cayenne pepper, have your friends or family do a patch test first to see how their skin will react to the rub. You can always add less essential oil and/or cayenne or more coconut oil and beeswax (try to keep the same proportions to maintain consistency) if they have sensitive skin. Using the small funnel (optional – but I find it much easier) add essential oils to 10 ml roll-on bottle. Use pipette (optional) to fill the roll-on the rest of the way with carrier oil of your choice). Shake well before use. Apply directly to the affected area. Great for use on sore muscles, a crick in your neck or even a headache! Note: Peppermint and PanAway are “hot” oils so have your friends or family member do a small patch test first to see how they react. You can always add less essential oils or more carrier oil if they have sensitive skin. Northern Lights Black Spruce (pictured) smells amazing! Nice and woodsy, sure to please any outdoorsman! Melt beeswax, shea butter, and carrier oils in double boiler. Once melted, remove from heat and allow to cool for a few minutes. Add Vitamin E oil and Stress Away essential oil blend (or your choice of essential oils). Stir mixture well, pour into container and allow to solidify overnight. Check out http://www.jebiga.com/10-diy-beard-oil-recipes/ for more DIY Beard oils, balms, butters, and mustache waxes for the Lumber Sexual in your life! Other options and combos may include: Sandalwood, Peppermint & Rosemary, Eucalyptus, Orange & Clove… the possibilities are endless! Place Coconut Oil and Shea Butter in double boiler (or microwave safe dish) and heat until melted. Remove from heat and add Sweet Almond oil and essential oils of your choice. Stir until well blended. Place in fridge until mixture is almost solid. Remove from fridge, add baking soda, and whip until light and fluffy. Transfer to container or jar. Young Living also has Brand NEW Shutran Shave Cream for men and Mirah Shave Oil for women that they just added last month! (Note: at the time of this blog entry my website does not currently have these products listed but you can still purchase them at signup if you are interested). Mix all ingredients in a 2 oz glass bottle or salve jar. To use, shake bottle or mix ingredients, dump out a little on hands and rub together. Lavender and/or Frankincense to soothe cracked and irritated skin. In a double boiler, melt together the beeswax, shea butter, and coconut oil until they become a smooth, uniform liquid. Remove from heat and add the olive oil, honey, and essential oil drops. Mix well. In a muffin tin lined with muffin liners (reusable silicone works great! ), ladle the mixture evenly between the lined cupcake wells. Allow to set (or harden) on the counter for 7 to 8 hours, or pop in the fridge to speed up the process. Celia’s Note: I’ve found that my honey tends to settle out of the mixture when cooling. It was less likely to happen when the bars cooled in the fridge but still settled some. I just wipe with a damp paper towel to get the sticky off then allow to dry before packaging. 1/8 – 1/16 tsp Pink Mica (optional if you want a tinted lip balm) – I got mine on Amazon (Rose Red Mica Powder). They have a variety of color choices. Add Red Raspberry Seed oil, beeswax, vitamin E oil and Pink Mica (optional) to double boiler and heat until melted. Stir well and remove from heat. Let cool a moment then add Peppermint essential oil. Stir until well mixed. Pour into tin or lip balm tubes. Note: Red Raspberry Seed oil has an approximate SPF of 28-50 so it will help protect your lips from the sun! Mix and Match the following gift ideas to create the perfect Winter Wellness gift basket for the whole family! Using the small funnel (optional – but I find it much easier) add essential oils to 10 ml roll-on bottle. Use pipette (optional) to fill the roll-on the rest of the way with carrier oil of your choice). Shake well before use. Apply to chest to help you breathe easier or to bridge of nose for more severe congestion. Note: Be careful to avoid eyes as Peppermint is a “hot” oil and can burn or cause your eyes to water. Bring honey to a boil and heat to 300° (use candy thermometer). Let cool slightly and add Theives and Lemon essential oils. Stir until combined. Once it has thickened slightly, place on parchment paper or no-stick food mat and roll into a long tube while it is still warm. Cut into small pieces and coat lightly with powdered sugar (helps prevent them from sticking together). I’ve also seen other sources suggest pouring into a small candy mold or rolling into little balls. You can wrap individually using small pieces of wax paper (optional) or just package unwrapped in glass jar or storage container. Love this idea but not a candy maker? Young Living takes the guess work out of it and made them for you! Check out their Thieves Hard Lozenges! Heat water or brew tea as directed. Add drops of essential oil(s) and honey to sweeten to taste. Drink as often as necessary for immune support. (Optional: Add 1 drop Frankincense oil and/or Peppermint oil for added support). A Dewdrop, Bamboo, or even Rainstone or Aria Diffuser with essential oils of your choice (Thieves, R.C., or Christmas Spirit are wonderful gift ideas for the holiday season) are always a welcome gift! Stir together salt, flour, cream of tartar and oil in a big bowl. Add the boiling water and keep stirring until it forms a dough. When it’s mixed pretty thoroughly and has had a chance to cool a bit, add the essential oil and food coloring. Knead the dough until the dye is thoroughly mixed into the dough. This takes a while, but keep working at it! And be careful, because it could still be really hot! Note: ALL of the above ingredients are SAFE to ingest so if you have a youngster who still occasionally likes to eat play-doh, you can rest assured that while this play dough is definitely salty, it contains no harmful chemicals! Celia’s note: The above recipe makes one BIG batch! I divided my batch into 6 smaller batches before adding my essential oils and food coloring. I used a couple drops each of food coloring and 2-3 drops of essential oil. My mom had also found me some Gerber plastic baby food containers (see pic) from one of her friends that were the perfect size for storing a little of the play-doh. I will tell you that after sitting for a week my dough got a little sticky but this is easily solved by adding a bit more flour. Also, my natural food coloring seemed to color shift over time. So be aware of these issues and maybe do a test batch before wrapping up. I probably wouldn’t make it too far ahead of time. I have no idea how long it would last (certainly not as long as store bought play-doh) but it’s easy to mix up a new batch if necessary! Packaging materials of your choice – I found these clear plastic treat baggies at Michael’s in the cakes and candies section, they also had ones with cute little holiday pictures, and used curling ribbon to tie them off. Most of the Glycerin soap comes in a block that can be cut into little cubes, something like 1-2” square if yours doesn’t. I would start with maybe 2 cubes in your microwavable bowl. Heat for approximately 30 seconds until all the soap is melted. Once melted, add a few drops of your natural food coloring and essential oils of choice (you can always add more if you desire a richer color or stronger scent. Remember, richer colors are likely to show up better when coloring but a little essential oil goes a long way!) and stir until well mixed. Pour into your silicone mold. The size and shape of your mold will determine how many crayons you will get from each batch. Repeat with desired color and fragrance combos. Let cool for several hours (you can put in fridge to speed up this process) until your crayons are hardened. Once completely cooled package in multi- or single color packages. I packaged my crayons in a clear plastic bag tied with curling ribbon since the colors of the crayons were so pretty to begin with! Bonus: You could also include several drops of other “sleepytime” oils like Cedarwood, Peace & Calming, Gentle Baby, Valor, etc. Mix ingredients in an 8 oz glass spray bottle. Print a cute label on sticky paper and add to bottle. Shake well before using and spray around your child’s room at night, especially under the bed and in closets, to scare away the monsters and promote a restful night’s sleep! 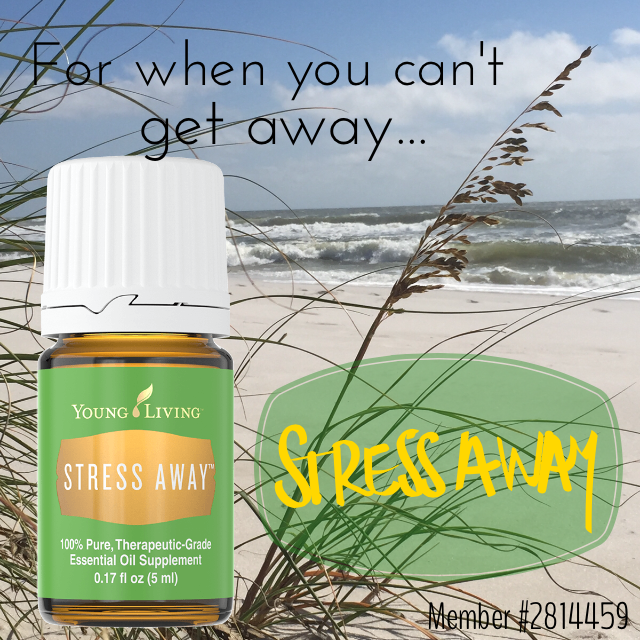 BONUS: Stress Away blend – the name says it all! Plus, you get to build your dream kit by picking a diffuser of your choice (additional cost for some of the diffuser options), plus awesome samples, an attachable roller fitment so you can easily apply your favorite oil, and 10 sample bottles! The baseline kit with the Dewdrop diffuser is a small investment of $160 but the retail value of everything you get above is over $330!!! That’s a savings of over $170! Say What!?! Plus, think of all the money you can save this year by making all your own DIY Holiday Gifts for everyone on your list! It’s a no brainer! Send me a message or email me at ShadowHawk1231@gmail.com to learn more about how you can order yours today and save an additional 24% off retail on all future orders or to ask ANY questions you may have about essential oils or DIY home, health, and beauty products! Ready to order now? 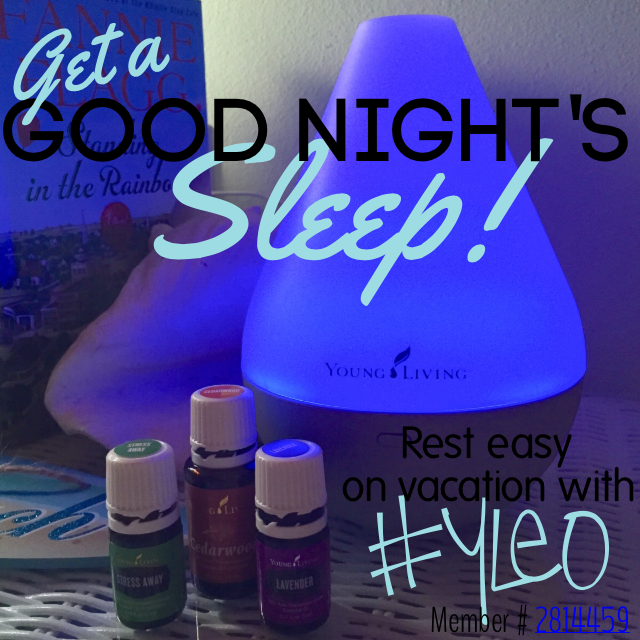 Visit my page How to Get Essential Oils at Wholesale Pricing to sign up today! I prefer Carrington Farms brand of Coconut Oil for cooking and DIY beauty products available at Costco. For fractionated Coconut Oil, Sweet Almond, Red Raspberry and other carrier oils I have had really good luck with the Dr. Adorable brand of oils available for purchase on Amazon. Mountain Rose Herbs or Amazon both have a good selection to choose from. If you are an Amazon Prime member you will enjoy the free 2 day shipping, especially as the holidays rapidly approach! Michael’s has clear Glycerin soap for approximately $9.99 per package (make sure to check out their website for coupons – they often have either 40 or 50% off a single item!). You can also find some really nice soap options on Amazon if you want a more gentle formula or extra ingredients like goat’s milk, etc. I ordered mine on Amazon (India Tree Natural Decorating Colors) although natural food/health stores may have some. I honestly didn’t look really hard. I know Kroger does NOT have it. I just bought a set with the primary colors and mixed my own secondary and tertiary colors myself. Mountain Rose Herbs or Amazon both have Citric Acid for a reasonable price. I got mine at Amazon (Food Grade Citric Acid) because I had another order ready to process and I have free shipping through Prime. But my next order will likely be from Mountain Rose Herbs (Citric Acid) because I have some other supplies I need to order. It’s a little cheaper at MRH but you will have to pay shipping so unless you have a bunch of stuff to order it’s not really worth it in my opinion. I’ve found that Kroger often has the Mason or Bell canning and preserve jars (4 oz and 8 oz) for pretty cheap. I’m sure WalMart would have them for a good price too if you shop there. Target doesn’t have a very big selection although they do have a few canning supplies. They were a bit more expensive as well. Michael’s often has really cute supplies for packaging (plus, they always have coupons on their website). I got several of my glass jars for this class there. Always check their discount aisle right as you check out. I also shop at Michael’s for ribbon, tags, labels and stickers to use to put the finishing touches on my gifts. You could be as rustic, vintage, modern, or fancy as you can imagine with just a few extra supplies! Shop around for the best prices on roller bottles (make sure they have stainless steel rollers because citrus and other oils can break down plastic over time and you want to be able to reuse them) and spray bottles. Quality and prices vary greatly so make sure to read reviews if you are shopping from a retailer not on this list. If you are a Young Living wholesale member, there is a secret Facebook group ran by another YL member that has really excellent selection of products for a good price. She buys in bulk so her items are usually pretty inexpensive and always the best quality. She also offers multiple item discounts to buyers as well. PM me on Facebook and I’ll add you to this group. Amazon always has a good selection and the benefits of free 2 day shipping with a Prime membership often make Amazon the best choice, especially this close to the holidays. A lot of YL members swear by Glass Bottle Outlet although I’ve never shopped there. Life Science Publishing (they are the publishing company that puts out the Essential Oil Desk/Pocket/Quick Reference Guides) also has some supplies. Abundant Health is another popular supplier of essential oil references and supplies. Categories: DIY and Naturally Minded Gift Ideas, DIY Baby Crafts, DIY Cleaning Products and All Natural Household Hacks, DIY Personal Care and Hygiene, Essential Oils and Aromatherapy | Tags: ache away, bath bombs, bath crayons, bath junkie, bath salts, beard balm, breathe easy, cedarwood, diaper bag essentials, diaper rash ointment, DIY, gift ideas, hand degreaser, hand sanitizer, Holiday, lavender, lemon, lip balm, lumbersexual, monster spray, motor head, muscle rub, natural food coloring, natural lifestyle, natural living, new mom, northern lights black spruce, orange, ouchie, peppermint, play dough, preppy businessman, shaving cream, stain remover, stress away, sugar scrub, thieves, vapor discs, winter wellness | Permalink. When You Vacation With an OIL Addict! Categories: DIY Personal Care and Hygiene, Essential Oils and Aromatherapy, Young Living | Tags: Abundance, astringent, bug spray, carrotseed, cedarwood, copaiba, deep relief, deodorant, diffuser, DiGize, DIY, facial serum, frankincense, hand sanitizer, headache remedy, itch relief, lavender, M-Grain, NingXia Red, ouchie, PanAway, R.C., red raspberry, rosemary, seasonal relief, sleep, SleepyIze, SniffleEase, stress away, sunscreen, tea tree, thieves, toothpaste, vacation, valor | Permalink. Love this idea as a natural alternative to the Clorox Green Wipes I’ve used for years! I recently ditched them for my own DIY Thieves cleaner and DIY Natural Dust Repellent but miss the convenience of my wipes! Looking forward to my July Essential Rewards order because I’m biting the bullet and ordering the Thieves cleaner used in the recipe! Can’t wait to give this a try!!! This post is super exciting! It brings together the ease of quick clean-ups with the fresh scent of Thieves Household Cleaner. It is quick and easy to make your own all-purpose wipes. Don’t worry we will walk you through the process. Fill container of your choice with approx. 4-6 cups of distilled water. 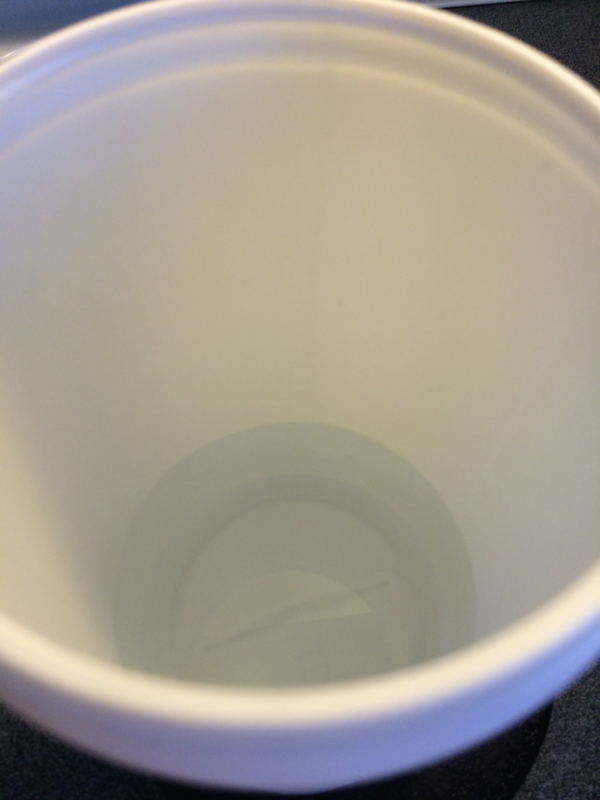 We filled our empty wipe container about half full (see below). Now add 2-4 tablespoons of Thieves Household Cleaner. We added 1/4 cup (4 Tbsp) and this is what it looked like (see below) but we may add just 2 Tbsp for the next batch. Place lid and give a gently swirl. Categories: DIY Cleaning Products and All Natural Household Hacks | Tags: chemical free, cleaning, DIY, essential oils, household hacks, natural cleaners, natural lifestyle, natural living, non-toxic, spring cleaning, thieves, young living | Permalink. An All Natural Cleaner Experiment: Do My DIY Cleaners Measure up? So I’ve been using my DIY Theives Cleaner for everything around the house lately! (Find my recipe here) So far it has worked beautifully for cleaning bathroom counters, the walls and outside of the toilet, kitchen counter tops, glass top stove, mirrors, and even glass. Seriously, there isn’t much that this won’t clean! But after a recent online essential oils class I learned that Lemon essential oil is supposed to be able to remove crayon from walls. While I have a child, she is only 4 1/2 months old as of the writing of this post and as of yet has not created artwork on any walls. However, I do have one small wall next to the dog beds in the living room that has turned an unsightly shade of brown due to the amount of dirt that the dogs rub up against it daily. It’s in a dark corner and I generally just try my hardest to ignore it, which means it goes entirely too long between cleanings. What this has afforded me, however, is an opportunity to really put my cleaners to the test. After learning about the cleaning power of Lemon eo I wanted to see if it would tackle things other than crayon and figured dirty dog stains would be a good test. But I also figured since this was a big enough surface area this would allow me to do a direct comparison of some of my other natural cleaning products. Naturally I wanted to compare my DIY Thieves Cleaner and had a bit of Clorox Green Works all purpose cleaner left that I hadn’t thrown out yet so thought I’d throw that in too. 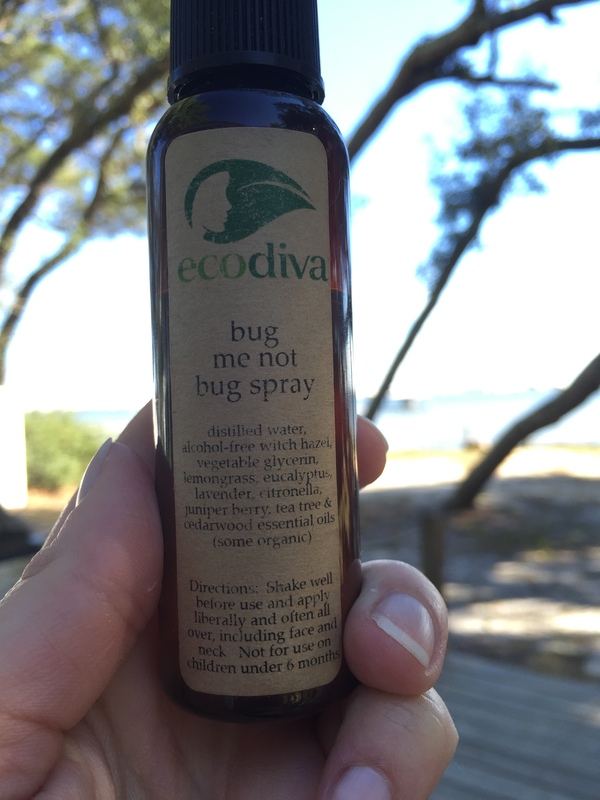 I had also recently made an All Natural Dust Repellent that included vinegar and Lemon eo and thought “what the hell?” and decided to include that as well just out of curiosity. The picture below (while embarrassing to show just how dirty this wall had become) provides you will a good visual of the before and after. Lemon eo – By itself I was less than impressed with Lemon eo as a cleaner for dirty walls (it does a great job removing sticky gunk and I’m sure crayon) but was not as effective as I’d hoped. It did clean a bit of the dirt off but it took 2 tries with 5-6 drops each on a microfiber cloth to even get it as clean as you see pictured above. It did remove some dirt but really isn’t a cost effective solution. DIY Dust Repellent – I was most surprised by how well this recipe cleaned the dirt off the wall since it was designed as a dust repellent and not a cleaner. Especially because I didn’t remember until after I had used it to clean that it also contains a bit of olive oil (to shine your surfaces and help repel dust)… Bonus: Not only did it actually clean the dirt off the wall, it smelled great!!! This one was my favorite considering it was just as effective as the DIY Thieves Cleaner and the Clorox Green Works all purpose cleaner. DIY Thieves Cleaner – Cleaned every bit as well as, if not a bit better than, the Clorox Green Works all purpose cleaner with none of the chemicals! I expected no less! This really is my go to all purpose cleaner now. Seriously, this stuff cleans everything!!! 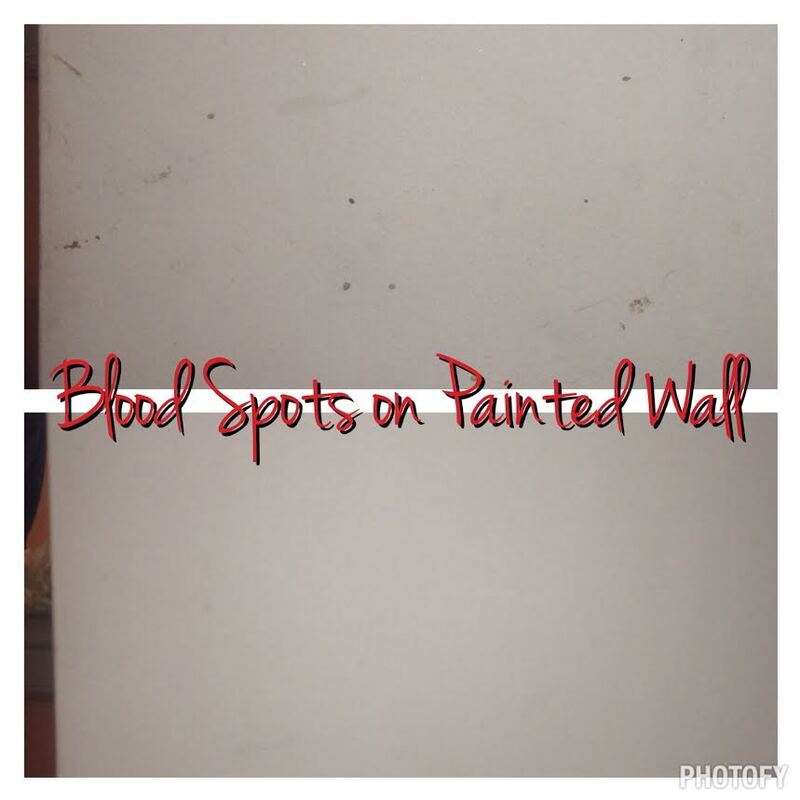 For the final part of my experiment I wanted to see how well the natural cleaners tackled old dried blood spots on my painted wall. As any dog owner knows, dogs get injured from rough housing with one another and when they’ve got a spot on their ears or tail they love to shake which results in splattered blood spots all over your walls and furniture until the wound heals. Since I have a pack the other dogs often “help” by cleaning the wound which can reopen the scabs and the process starts all over again. Above my dirty wall was some remaining old dried blood splatter so I thought I’d give it a whirl! I knew my DIY Thieves Cleaner was up for the challenge but wanted to really give the Natural Dust Repellent a go to see how the lemon and vinegar would work at cleaning this challenging task. As you can see from the above picture, the results were every bit as good as I hoped for!!! The Dust Repellent removed all the old dried blood stains with only a little bit of scrubbing for some of the harder to remove spots. I’m super pleased with how well this recipe worked for a task it wasn’t really designed for! My hubby hates the smell of vinegar but the Lemon eo is way better at masking the scent than my Thieves it’s nice to have another cleaning recipe on hand. But honestly I’ll probably just add Lemon eo to my Thieves cleaner in future batches to get the most bang for my buck. This also avoids the olive oil in the Natural Dust Repellent, which I will reserve for dusting! Have you done any all natural cleaning experiments in your home? Share the results below to keep the conversation going!!! Intro: Clean Your Home Naturally (without Toxic Chemicals) this Summer! Part 5: How To Deodorize Your Carpet Naturally + BONUS DIY Spot Cleaning Recipe! Categories: DIY Cleaning Products and All Natural Household Hacks | Tags: chemical free, cleaning, DIY, essential oils, household hacks, lemon, natural cleaners, natural lifestyle, natural living, non-toxic, spring cleaning, thieves, vinegar, young living | Permalink. How To Clean Your Toilet Naturally (without Toxic Chemicals)! Part 3 of my Clean Your Home Naturally (without Toxic Chemicals) series: How To Clean Your Toilet Naturally. Let’s face, no one really enjoys cleaning the toilet. And when you factor in all the gross chemicals involved it makes the whole process even less desirable. When I caught the spring cleaning bug over the weekend I knew I had to find a way to clean my toilet naturally so that I could at least generate some excitement about the process. 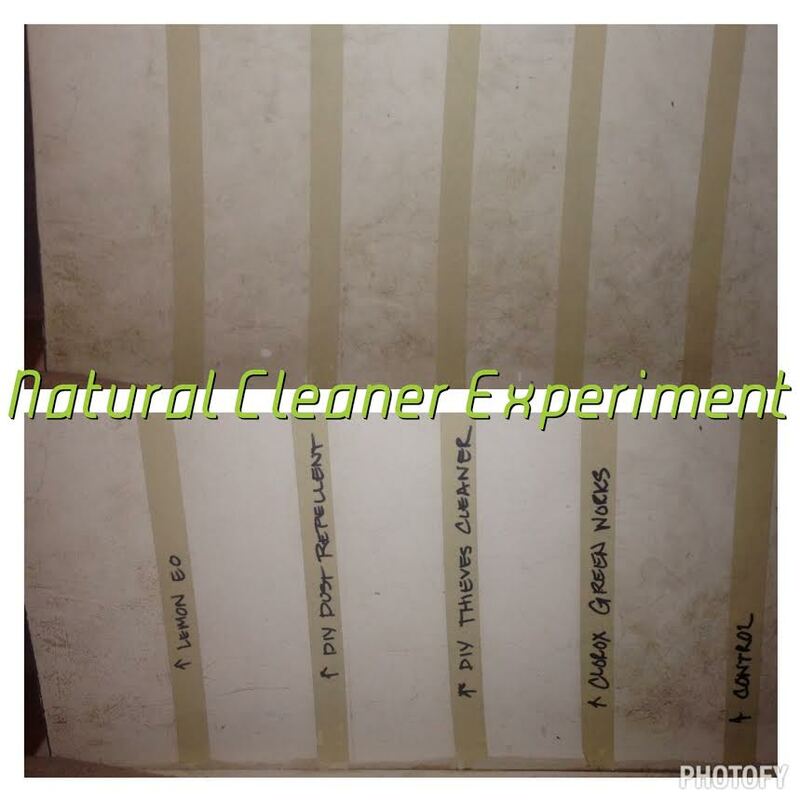 I was surprised at the number of natural cleaning methods I found so I’ll share them below as well as share what method I used (I’ll spare you the before and after pics this time!). Let’s begin by looking at some common store-bought toilet cleaners and why you’ll want to avoid them! • Lysol Toilet Bowl Cleaner – The main ingredient in Lysol’s Toilet Bowl Cleaner is Hydrochloric Acid which can not only cause severe skin burns and eye damage but also acts as an upper respiratory irritant and can contribute to asthma attacks and pulmonary edema. • Scrubbing Bubbles Toilet Cleaning Gel – Scrubbing Bubbles Toilet Cleaning Gel contains Polymers, which are not only toxic to aquatic life but also skin and eye irritants, Sodium Laureth Sulfate, another skin irritant, and artificial Fragrance which can be an allergen or skin irritant. • 2000 Flushes Automatic Toilet Bowl Cleaner – 2000 Flushes Automatic Toilet Bowl Cleaner, while convenient (IF it truly does “clean with every flush”) also contains several harmful ingredients, including Surfactants, which are toxic to aquatic life as well as being skin and respiratory irritants; 1,3-Dichloro-5-Ethyl-5-Methylhydantion, which is a known allergen and skin irritant; Chlorine Bleach (see above); and artificial Fragrance. So now that you’re ready to throw out your toilet bowl cleaners, let’s look at some common household ingredients that you already have on hand that help clean naturally! • Baking Soda – Baking Soda is a natural abrasive that can help you scour your toilet bowl and act as a natural deodorizer. However it does not have any germ-fighting qualities. Pair it with Vinegar for the ultimate toilet bowl cleaning duo! • Borax – Not everyone has this on hand but it is easily found at your local grocery store. Borax is often mistaken as Boric Acid (which is toxic!) but it is NOT the same thing! Borax is actually Sodium Tetraborate which is non-toxic unless ingested in very large amounts. It’s a great, old-fashioned multi-purpose cleaner. It is commonly used as a natural laundry detergent but can also be used to clean, whiten (it doesn’t bleach, just removes stains) and deodorize your bathroom or kitchen and even used to rid your home of ants naturally! • Essential Oils – I’ve already discussed how awesome I think essential oils are as additions to homemade cleaners (because of germ-fighting properties and ability to prohibit bacteria and fungal growth) and cleaning the toilet is no exception! Oils such as Tea Tree and Thieves are especially effective. But others oils, such as Peppermint, Eucalyptus, Lavender, Rosemary, and Citrus oils, also have germ-fighting properties as well! • Vinegar – Vinegar is a natural acid that is mild enough to not irritate the skin but is effective at cleaning, disinfecting, and eliminating odors. Use in combination with Baking Soda or Borax for an especially effective toilet bowl cleaner! I found several great methods of using the above ingredients to clean my toilet over at DIY Natural but opted for my own method, which I’ve included below. • Pour ½ – ¾ cup of Borax (or Baking Soda) in toilet bowl. Let sit for 15 minutes to 1 hour. Use toilet brush to scrub inside of toilet then flush. • Use Thieves cleaner to spray the inside and outside walls of the toilet bowl and clean with sponge. • Use the Pumice stone on any hard surface stains or toilet bowl rings that did not come out with the above methods. Keep the conversation going! What’s your favorite all natural method of cleaning the toilet? Comment below! Categories: DIY Cleaning Products and All Natural Household Hacks, Young Living | Tags: baking soda, borax, chemical free, citric acid, citrus fresh, cleaning, DIY, essential oils, eucalyptus, household hacks, lavender, lemon, natural cleaners, natural lifestyle, natural living, non-toxic, peppermint, pumice stone, rosemary, spring cleaning, tea tree, thieves, toilet, vinegar, young living | Permalink. Enter your email address to follow Adventures in Living a Natural Lifestyle and receive notifications of new posts by email.